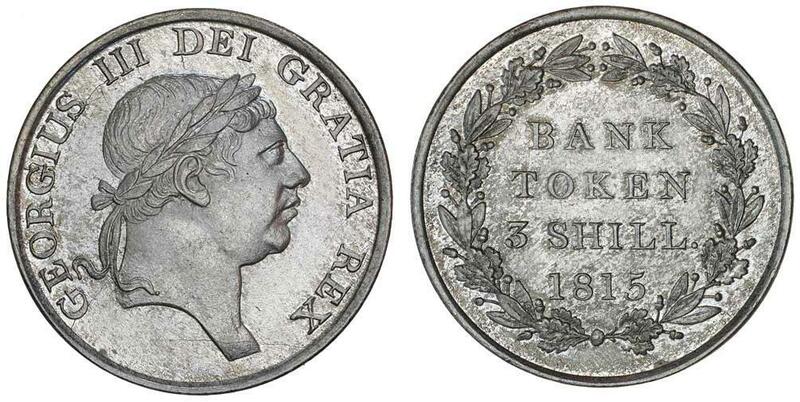 GROSSBRITANNIEN George III. 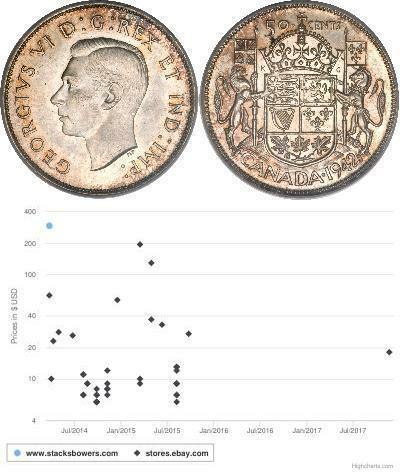 1760-1820. 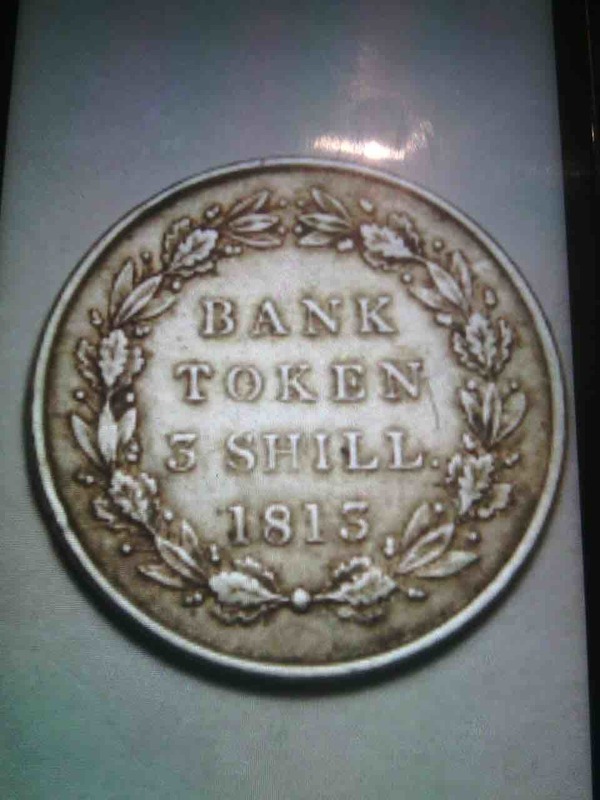 3 Shilling 1815. 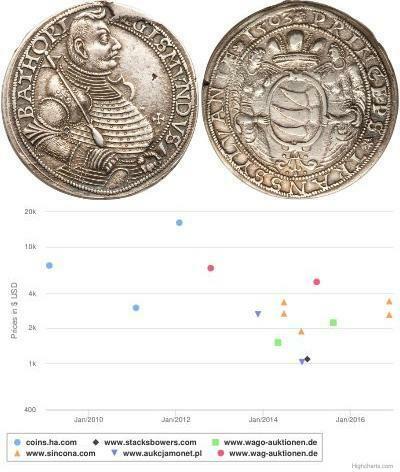 14.61 g. S. 3770. Gutes vorzüglich. 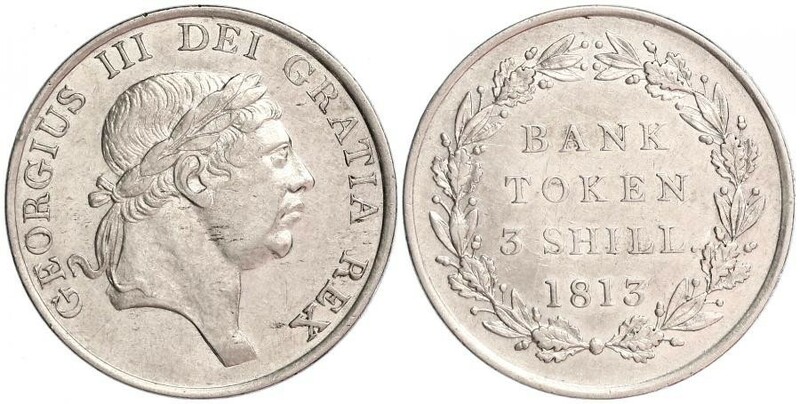 GEORGE III, Bank of England, silver three shillings token, 1815 (S.3770). Some original toning, nearly extremely fine. 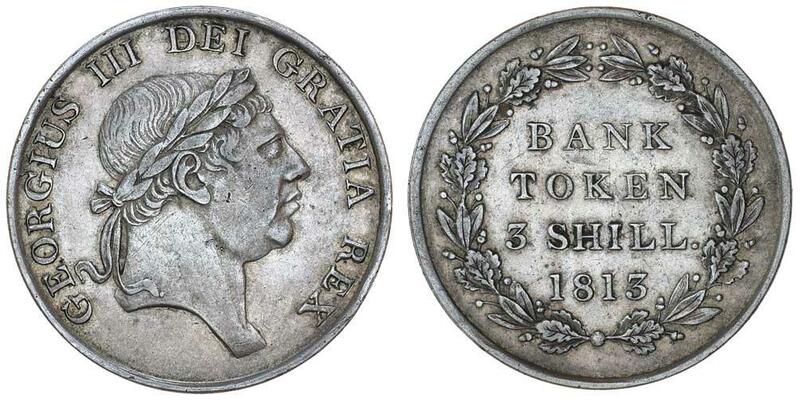 GEORGE III, Bank token, three shillings 1813 (S.3770). Underlying brilliance, extremely fine. 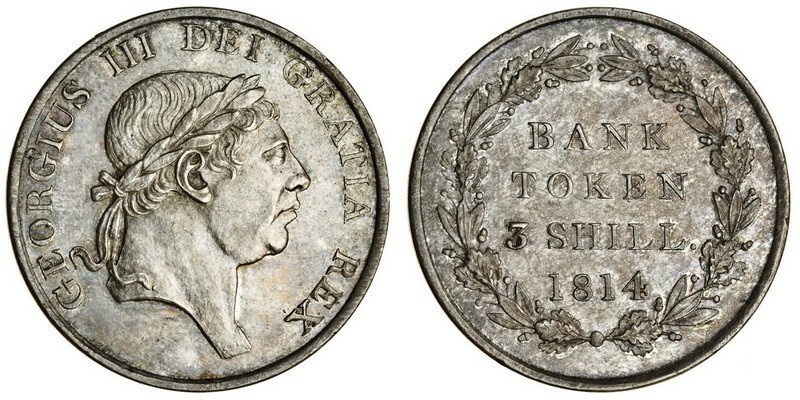 GEORGE III, silver three shillings Bank token, 1815 (S.3770). 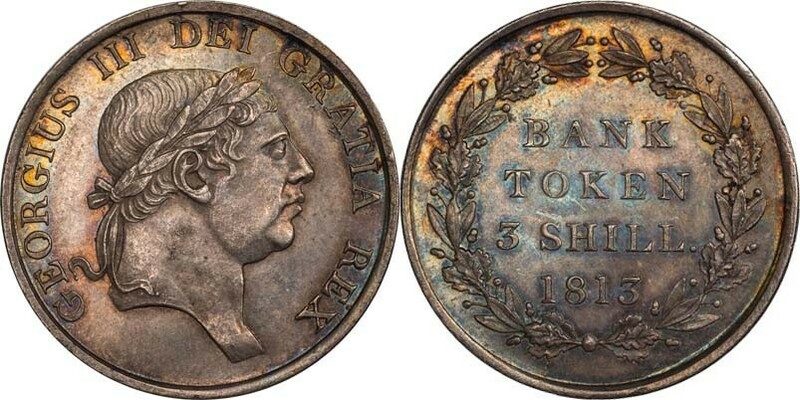 Light tone, uncirculated. 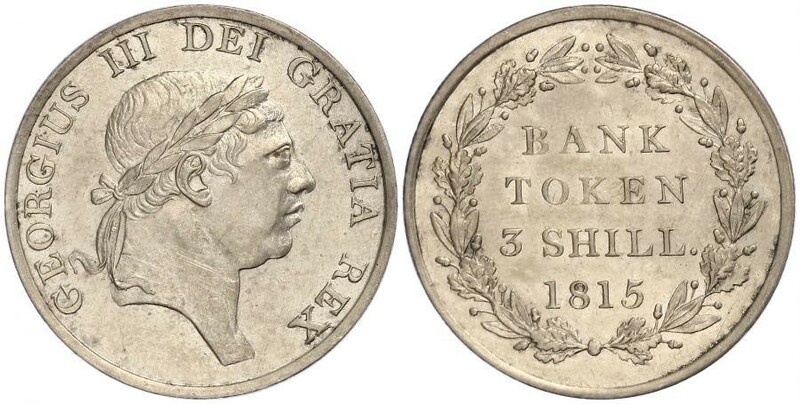 GEORGE III, bank token, second issue, silver three shillings, 1812 (S.3770). Lightly toned, extremely fine. 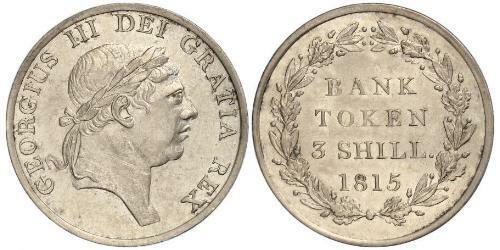 GEORGE III, silver three shillings bank token, 1815 (S.3770). Nearly uncirculated. 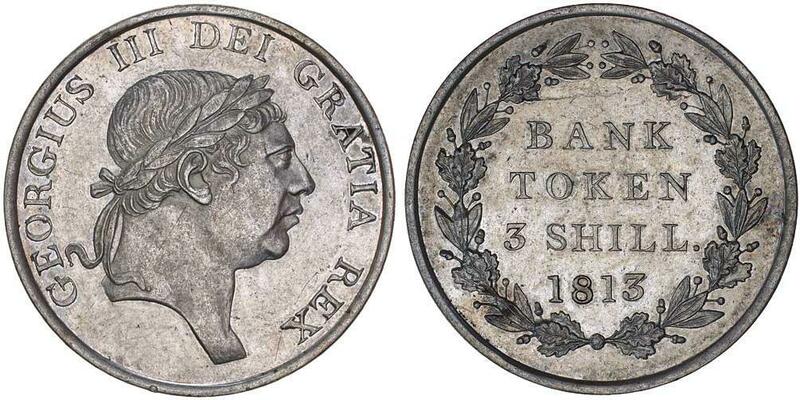 GEORGE III, bank token, three shillings, 1814 (S.3770). Toned, very fine. 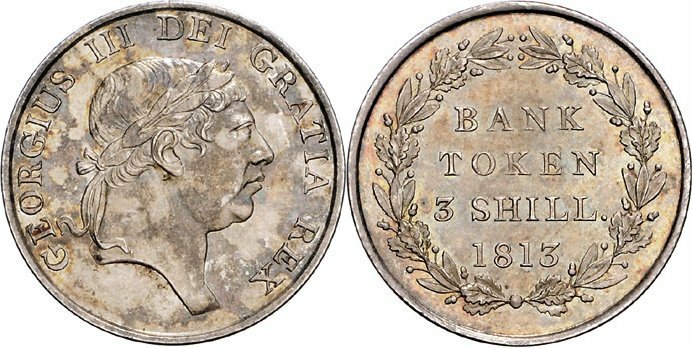 Великобритания 3 шиллинга (1813 г.) Серебро Токен, банк Англии. Георг III. Номер по Краузе Tn#5, 925-я проба.